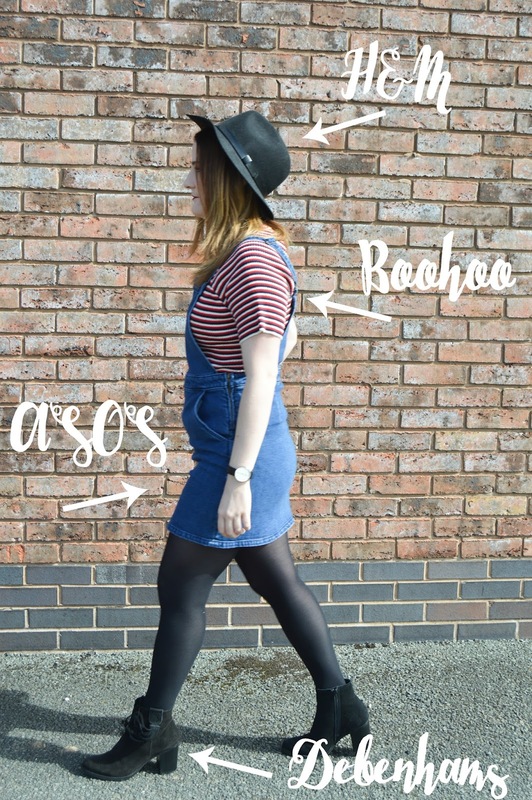 When Boohoo asked me to pick something from their website, for their #WeAreReady campaign, I decided to choose something that would transform a summer outfit into an Autumn appropriate one. 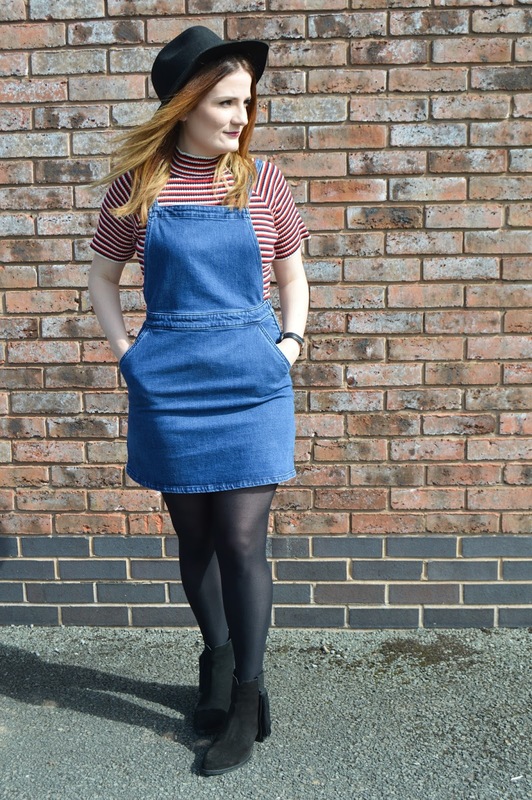 I'd worn this ASOS denim pinafore dress quite a lot over summer, with light t-shirts underneath and bare legs. 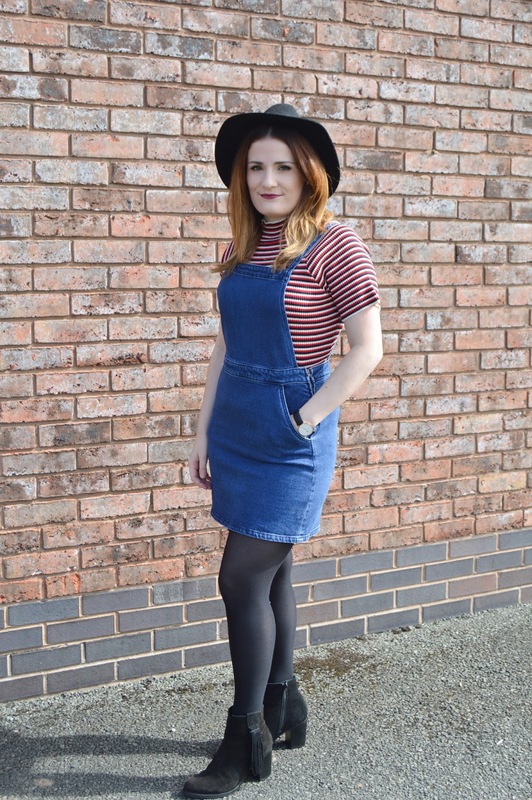 To transform this item for Autumn, I swapped the t-shirt for this striped knitted jumper from Boohoo, added black tights and boots, and the finishing touch was a black hat. I'd usually stick to black and grey tones in Autumn and Winter, but I love the pop of colour that the red and blue jumper gives! It's a bargain at £12 too. 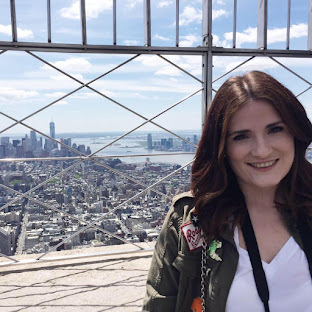 Thank you Morgs, I wanted to try something different with my photos! Thank you Julie. I always check out your outfit posts, you have great taste! Cute outfit! :-) I'm so excited for fall! Cute outfits. Love your style.